Far too many offices and workplaces have kitchens or break rooms that just aren’t equipped to make the best coffee. It’s usually mediocre, and can sometimes be downright undrinkable. If you enjoy a good cup of coffee, improving the quality of your coffee at work will undoubtedly improve the quality of your workday, as well. Not to mention that getting your morning brew from coffee shops can get expensive, and adds extra time to your commute. Read on to discover 10 easy tips for brewing exceptional coffee at the office – tips that anyone can easily do. A simple and easy way to dramatically improve the taste of your office coffee is by using freshly ground coffee. Buying your coffee pre-ground is certainly convenient, but at what cost? Whole beans will stay fresher longer, and consequently retain their flavor longer, too. Investing in a decent grinder and some organic, fair trade, shade grown coffee will absolutely transform your bland, flavorless cup of Joe into something you actually enjoy drinking. Keep those beans as fresh as possible in a vacuum-sealed container to maximize flavor. When you really think about it, how long has that sludge been sitting around in the break room? No one really knows. Making a note of when the last pot of coffee was brewed will let you and everyone else in the office know when the pot is past its prime. To accomplish this, timestamp your pot and never drink stale, bitter coffee at work ever again. The whole office will thank you! Take it a step further and avoid the hot plate all together, if you can. It’s not always exactly reasonable to brew another pot when it’s time to top off your cup of office coffee, but by investing in a thermal carafe (like the self-service ones often seen at coffee houses), you can ensure that the whole pot of coffee stays fresh and flavorful. If your coworkers don’t want to pitch in for one, you can at the very least buy your own personal thermos to keep your coffee hot and tasty throughout the morning. 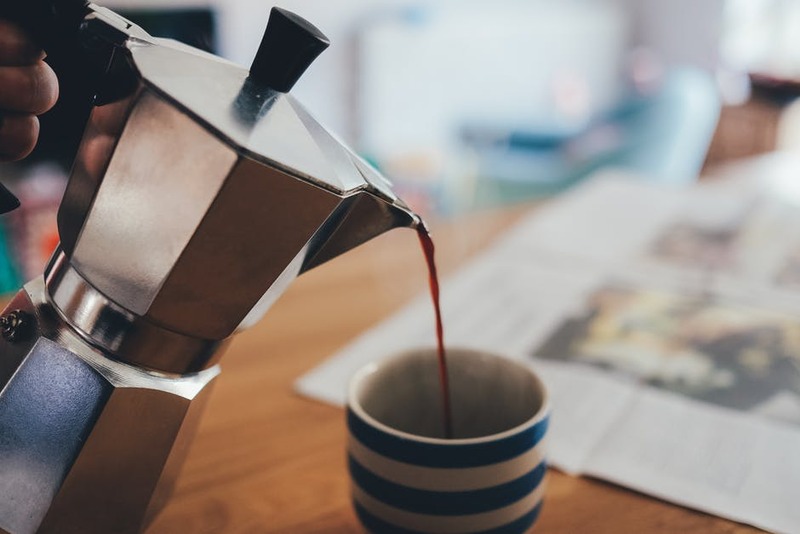 One of the simplest and most reliable ways to get a great tasting cup of coffee every time you need a pick-me-up at work is by brewing with a French press. This method is great for kitchens with limited equipment or space, since all that’s needed is freshly ground high quality coffee, hot water, and the French press itself. The sad truth is that many of the average, affordable coffee makers just aren’t equipped to make great cups of coffee. Chat with your coffee-drinking coworkers and figure out which type of machine would work best in your office. Maybe you’re lucky enough to have a boss who listens to her employees, and has no problem shelling out for a new machine for the office. If you’re not so lucky, maybe you and your coffee drinking-coworkers can pitch in and buy a nice coffee machine together. 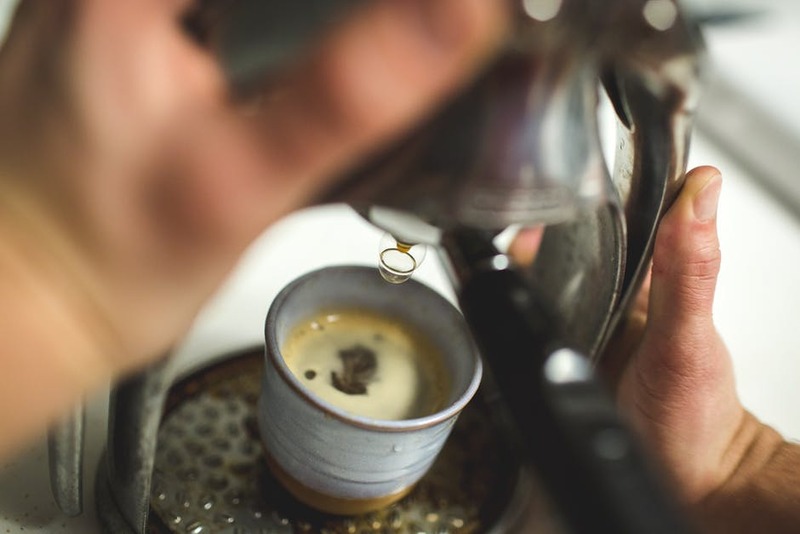 You might be the only coffee drinker in your office, and if that’s the case, it might not be reasonable to purchase a bunch of coffee equipment just for yourself. This personal sized coffee maker is cheap, can fit in tiny cubicles, and produces great-tasting single servings of coffee that you can sip throughout the workday. It makes sense that using better quality coffee will improve the flavor of your drink, so taking it a step further by using other high quality ingredients in addition to the coffee itself will only add to the quality of the final product. Brew coffee with filtered water from the fridge or office water cooler, and add flavor with raw sugar and local or organic creamers to improve overall quality. Another option for a lone coffee drinker in the workplace is to adopt the pour over method. While the pour over method can be fussy, there’s no doubt that it’s a consistent and reliable method for creating a great cup of coffee. Purchase a stainless steel pour over coffee maker if you’d prefer to not use filters, and be a little more environmentally friendly! It’s safe to assume that most coffee machines, especially in the workplace, don’t get cleaned as often as they should. The final product will always be tainted because every batch of java leaves behind a residue of mineral deposits, coffee grounds, and oils that build up over time. Because of this, be sure to give your coffee maker a little extra TLC about once a month. If you use a coffee grinder, this would be a good time to clean that machine, as well. If there are multiple coffee drinkers in the office, you can assign this task to a different person every month so you’re not stuck with the responsibility of cleaning up yourself. See a simple guide here. If none of these are viable options for you, maybe the best option for you is cold brew. This method is about as simple as it gets; it’s simply a matter of leaving coarsely ground coffee submerged in water overnight, and then filtering out the grounds before consumption. The final product is less acidic, smooth tasting, and you don’t have to worry about it staying hot and fresh throughout the day. The hardest part about brewing and drinking cold brew coffee is remembering to take it with you in the morning! For many people, drinking good coffee is a key factor in productivity. If a great cup of coffee helps you accomplish more during the workweek, then an upgrade to your office brew is well worth the investment. Use this guide to help leave the break room slop behind, as you find a high quality coffee solution that’s better suited for you and your work environment.